So pop on your headphones and relax. It doesn’t matter if you’re in a hip bookstore coffee shop sipping your latte or traveling across country; you can now watch and listen to all of your computer-stored media on your TouchPad, all over your local WiFi network, plus a plethora of online sources. 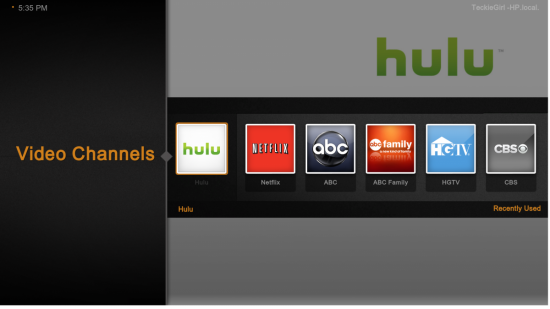 Plex, a well-known app for TV-connected devices as well as on iOS and Android has finally made it it to the webOS App Catalog, but as a third-party solution, not officially from Plex. The system does requre a little bit of setup, so be sure to read and follow the directions. It's kind of important. First of all, you'll need the Plex Media Server app for your desktop that makes its media available to other devices running Plex. You'll also need to install Adobe Flash or Microsoft Silverlight to get things running. The setup process also includes entering your network address and some other bits - we'd like for it to be less complicated, but there's only so much they can do and still maintain easy interoperability between devcies. The great thing about the app once it gets running it is really beautiful and smooth. It uses the network and the device's inner workings to its advantage and then some. Now, with that said there are some major bumps in the road we encountered. We had a hard time seeing the media on the TouchPad app, which is a pretty big deal considering that's what the app is supposed to be used for. Things worked better through the webOS browser, but you don't need the webOS app for that then, do you? Compared to the iPad Plex app, everything on the TouchPad, be it the app or in the browser, was slow as molasses to load. On the flipside, the iPad (thanks to restrictions from Apple) could see locally-stored music and video and some online sources, while Plex on the TouchPad could view all of our local and online media. 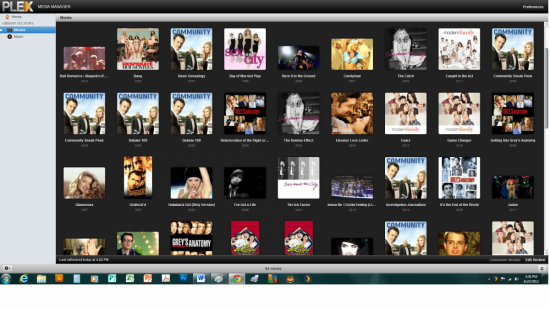 Of course, using a big desktop monitor or TV is the ideal scenario for Plex, and it excells there. After going through all of the motions, the only media that the webOS Plex app would play or stream were the local videos and music. Trying to use the online video channel would not load properly and the movies would stop the player completely. On the bright side you have wonderful options in the app like sharing between friends using social media like Twitter with your videos and music only. Or you can rant about how this app you bought isn't living up to expectations. 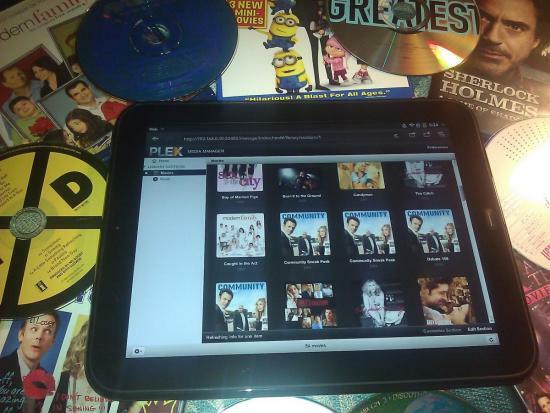 Plex is a beautiful, complex work of art, but it's not near ready for primetime. It's priced at $2.99, versus the $4.99 asking price for the iOS app. Plex for TouchPad has plenty of slick visuals and smooth transitions, but there's something that's keeping this app from working well, and all the slickness and smoothnes in the world can't cover that.